I think you girls are beautiful. No, really, so beautiful. I don’t have a little girl (not yet! ), but when I do, I plan on making sure she becomes a fan. We will watch every Disney movie. We will wait in line for hours to meet you at Disney World. We will even drop the big bucks to “princess” my little girl up at the Bibbidi Bobbidy Boutique. I like you, and I plan on passing the admiration down. You sing my favorite Disney song of all “Part of Your World.” It does seem pretty nifty up here…walking, dancing, running. But let’s talk truth. This world can be pretty hard. There’s heartbreak and pain. It’s a broken place. Sinful and dying. My Father, though, He’s working on a new world for me. One that will never pass away. Heaven. That’s a world worth singing about. You are hands-down my favorite. Beautiful. Smart. Kind. I love the “Tale as Old as Time” song. My favorite phrase “Barely even friends, then somebody bends, unexpectedly.” I’ve been loved like that. It’s a tale older than time. My Hero loved me when I was His enemy. When I wanted nothing to do with Him. And He didn’t just bend. He died for me. Gave up His very life. Unexpected. Grace. Beauty. You confidently sing “Someday my prince will come.” Good news…He already has! Not in that strapping, dark-haired guy that awakens you with the kiss of love. But the real prince. The Son of the King. He came. He gave up everything. For me. For everyone. The Prince has already come! Don’t we all want “A Whole New World.” I definitely do. It sounds like a new start to me. A fresh one. That’s what Christ came to give us. He offers us a clean slate. And every morning, carpet ride the night before or not, His mercies are new. Understanding His love makes life seem like a whole new world. You set the princess bar pretty high. So beautiful in those glass slippers. You’re a dreamer. I love your song “A Dream is a Wish Your Heart Makes.” We all have dreams. But here’s a thought…sometimes those dreams don’t pan out like we planned. Then what? We’ve got to have faith in something. I’ve chosen the Creator of the Universe. His love blows me away. I can trust His plans even my dreams don’t pan out. So there, sweet sister friends. I write because I care. I’m still a fan…always will be. But you need to know the Truth. What you look for I’ve found. Not in a guy. Not in a perfect situation. I’ve found it in the Gospel. I’ve found it in God’s love for me and Jesus’ death on my behalf. Keep being beautiful, girls. We love you for it. But don’t forget…there’s a bigger story out there. And knowing that story means knowing there’s a happy ending in store! 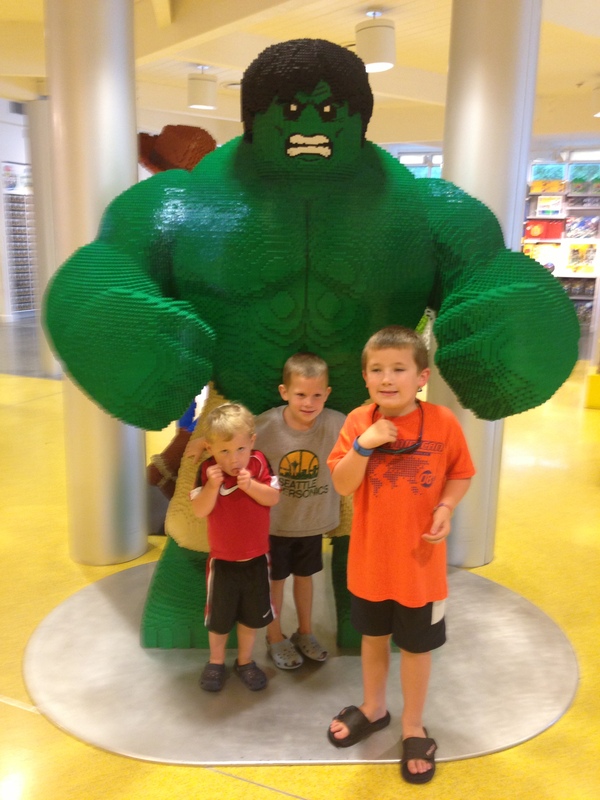 PS-Yes, when we go to Disney, my 3 boys want a picture with the Lego Hulk. One day, princesses, one day! Wednesday…at 8 pm…with 2 partially packed suitcases…Jeremy and I decided to leave for Disney!!! The trip was already planned (months before) but on a whim we decided to leave a day early. By 9:30 we were on the road. I drove til 2:00 am when my eyes were forcing themselves shut. 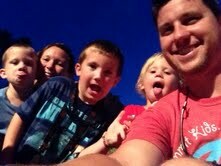 Jeremy brought us into Orlando at 6:30 am. The boys slept. 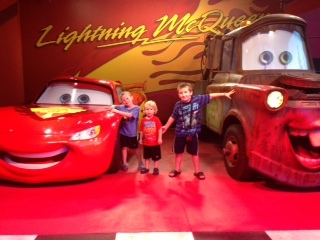 We hit the Magic Kingdom running (literally!) at 8:00. Crazy! This post will go out on Monday morning. Right now it’s Sunday night, and I’m sitting on a bench between our room and the lake. We’re staying at Pop Century. It’s quiet here. Everyone seems tired. Tomorrow will be here with new surprises and parks to explore. I am so thankful for this trip. We come back home on Wednesday. 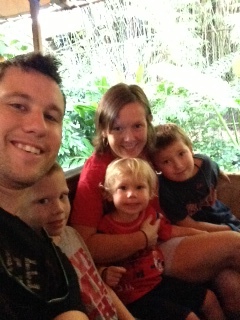 In a million years I could never have predicted how desperately I would need this time away with my family. We have already been so blessed. May I not miss a day wishing for something more! 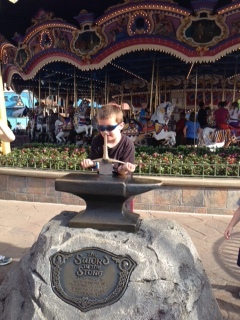 So happy Monday…enjoy some pics of our trip, and I’ll be back to regular posting later in the week!